Some Holiday Spirited people say “Merry Christmas” (or “Happy Holidays”) to everyone they pass on the street, including strangers. Many even find the time to pray for the benefit of all humankind (“Peace on Earth, Goodwill to all”). Certainly the holiday season can and often does bring out the best in people. Even the “grumpy” can be found to be less grumpy, at least at times and for a while, during this time of year. We’ve all likely experienced it that way at times. Unfortunately, the holiday season, and thus the Holiday Spirit, only lasts for a little over a month each year. After that, most of us just return to our normal, habitual, often vulnerable and defensive, everyday ways of living and relating. In fact, some people are so stuck in their habitual ways that instead of allowing themselves to enjoy the holidays, they begin comparing their material and/or social lives and become martyred, depressed, resentful, and even angry thereby. The Christmas Holiday Season Spirit is actually supposed to inspire us all to express Unconditional Love and Compassion for all—which means for those of every religion, race, nationality, gender, and wealth level, not just for our own. After all, if God created the world, and thus created everyone in it, and God doesn’t make mistakes, how can anyone diminish, belittle, exclude, or persecute anyone or any group solely due to their birth conditions, life circumstances, or genetic heritage? You are how you treat yourself and others, individual by individual. That’s how karma works and how social interactions should also work—unconditionally, without preconceived group bias, blame, or perceived self-superiority. No one should judge any large group (race, religion, nationality, political party, etc. ), because of having been mistreated by one or more bad actors therein. And this Unconditional Love and Compassion for all humankind that we all should allow ourselves to feel for others would not be complete until you accept that you’re worthy of it as well. All the above is why my Spiritual Master Teacher Bernice strongly emphasized that comparison is death. Comparison has the power to keep you from enjoying what you do have in life—because it has the power to make you reject yourself. Self-rejection has the power to cause you to sabotage your future through the kind of self-destructive-self-indulgent behaviors that make bad things worse; and that alienates others—while increasing your negative karmic debt along the way. Ironically, most people compare with those who seem to have it better or easier in life, but they almost never compare with those less fortunate. Since some people are grateful and gracious while having very little; and others are selfish and self-centered while having way more than enough, it is never the amount you have, it is your attitude, that tells you (and others) who you are. The life of Jesus, the Christ Consciousness, was one of the greatest examples of maintaining the Holiday Spirit no matter what happens. Jesus maintained His Love for God and all life—even though He experienced discredit, persecution, betrayal, crucifixion, and execution, through no fault of His own. Jesus was even able to love and forgive those who taunted, tormented, and tortured Him. He saw God in everyone even though many were expressing less than pure motivations and actions in their lives; and specifically towards Him.“That which you do unto the lowliest creature, you do unto Me.” Jesus treated everyone as a Child of God—whether misguided, selfish, cruel, or not. And treating someone like a Child of God doesn’t mean to automatically give them what they want. It means ask God, your and their Parent, what each individual truly needs from you at the time and in that particular situation. Only God knows what is best for each of us on this planet at all times. And there may be times when God has you deliver a hard lesson, but that would only occur if they really needed it for their own karmic benefit and spiritual growth. So the golden rule should actually read: “Do unto others as God would have you do”… which is to respond to everything and everyone in your life as you’re directed by God within you through Receivership. 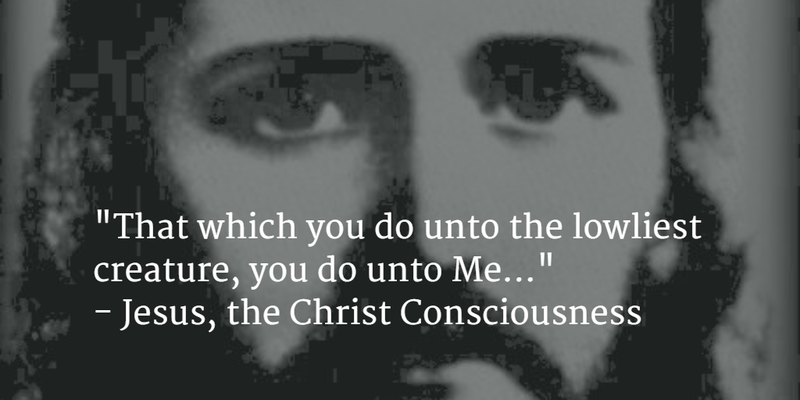 By doing so, you will be like Jesus, and thus become God’s Agent in the physical as Jesus was and still is. In it’s highest form, the Christmas Holiday Spirit is to not only honor Jesus, but to be like Jesus, whatever your beliefs and your religious heritage. Jesus forgave all those who turned against Him. Forgiveness may be difficult for most people, but it is not impossible; and it is incredibly important karmically. It is manifested by resisting the temptation to automatically judge, begrudge, and retaliate; and by doing a Receivership (ask God within you for Divine Guidance) on how to handle it all instead. Your forgiveness is demonstrated tangibly by responding with a Receivership instead of automatically giving them a dose of their own treatment. Forgiveness, turning the other cheek, doesn’t mean leaving your cheek out there to be slapped again. And it doesn’t mean that you may not continue to avoid and separate yourself from those who’ve hurt you. But it does mean that you don’t and won’t consciously seek to hurt anyone else because of pain from your past. 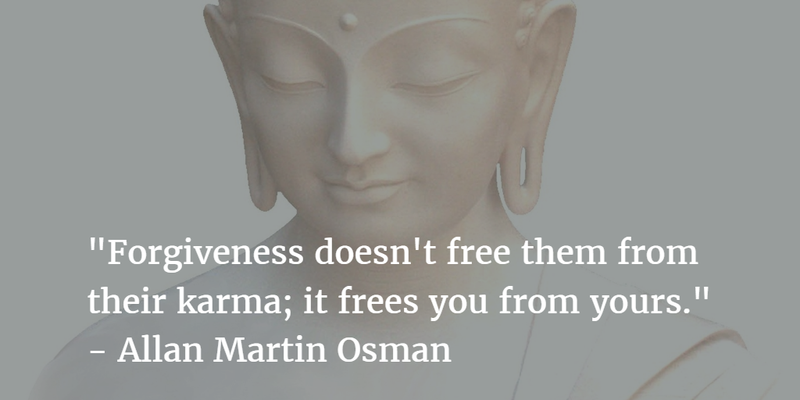 If they’ve mistreated you, your forgiveness doesn’t free them from their karma. It frees you from yours. It stops you from wanting the worst for another person, which is not healthy or karmically beneficial for anyone. Let he or she who is without sin (error) over all lifetimes (or even from this one) throw the first stone. If that rule was in effect on Earth, no stones would ever leave the ground. To be like Jesus, always do your best to seek to influence and affect yourself and others as directed by God within you, in all your thoughts, words, and actions. Such is God’s Will for us all. And it is God’s Way—which should also be the way of every student and Child of God—which is what we all are and always will be.